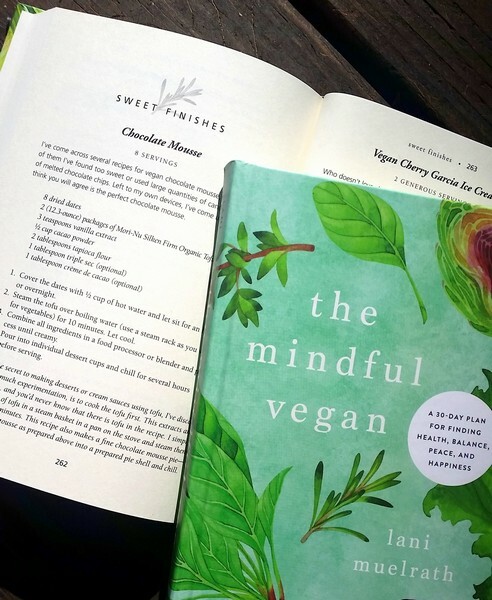 The very same day I had scheduled to publish the recipe for Chocolate Mousse here on The Mindful Vegan blog, Christa from The Artistic Vegan did the same, accompanied by a giveaway for a copy of the book The Mindful Vegan: A 30-Day Plan for Finding Health, Balance, Peace, and Happiness. Lucky for me, Christa also took some beautiful photographs of her render of the Chocolate Mousse recipe. Not being particularly skilled at taking splendid food photographs, I asked Christa if I could publish her photos on my blog as well. 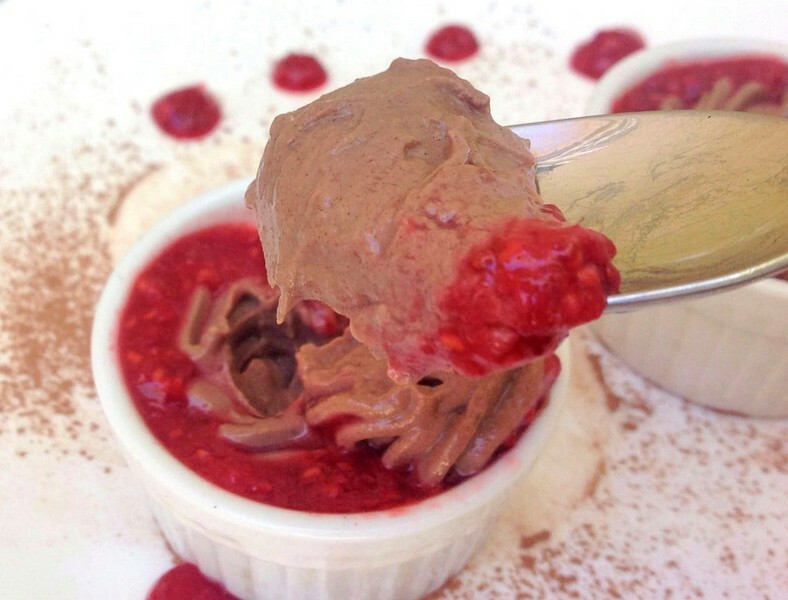 To which she generously and kindly responded, “Yes!” So all photos on this page related to Chocolate Mousse – and her talent of adding extras such as raspberry chia jam – are to her credit. Thank you Christa! 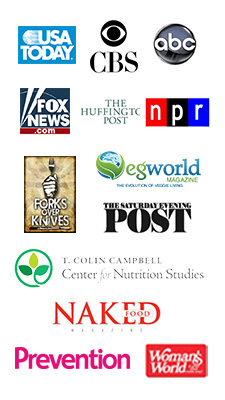 In the very back, at the end of the 30 day journey are some tantilizing recipes. While all truly sounded enticing, I couldn’t help but make the Chocolate Mousse. I was enticed by her new method of steaming the tofu before processing it to remove the beany flavor. I thought that was so interesting and smart! 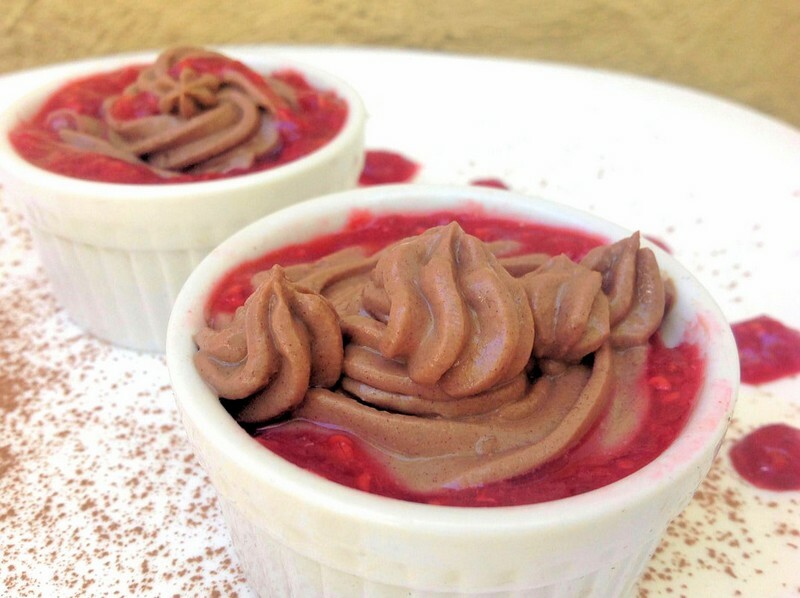 It smells heavenly, uses healthy plant-based ingredients and is puffy as a cloud, creamy, soft, and perfect vegan mousse in texture, consistency and best of all taste. It’s delightful, airy, whipped! We had a little raspberry chia jam with ours and ooh my, we savored each and every single bite. Give it a try, she’s graciously shared it with all of you. 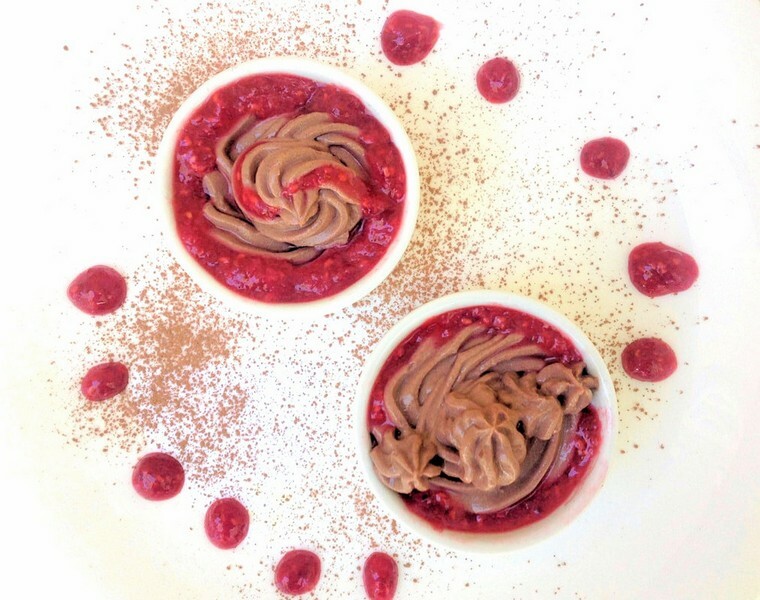 Now…on to the recipe for Chocolate Mousse! I never thought of steaming the tofu first! Great idea. Thanks to Christa for the pictures! 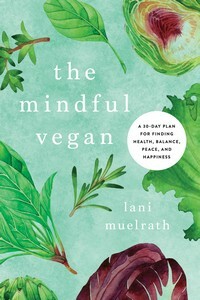 Just entered the giveaway for the Mindful vegan book, too. Hi Stacey! 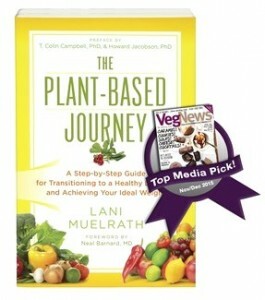 Yes, cooking the tofu first makes all the difference!